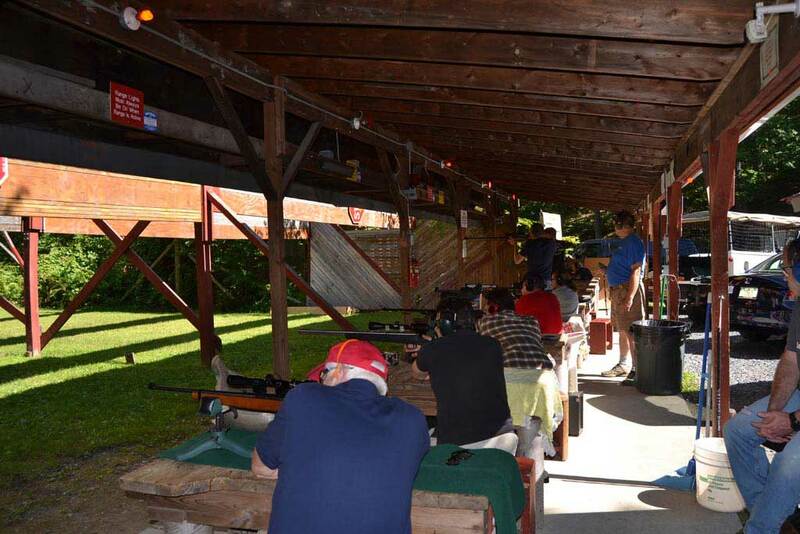 The Monroe-Chester Sportsmen’s Club maintains a 200-yard rifle range with 15 covered shooting benches. 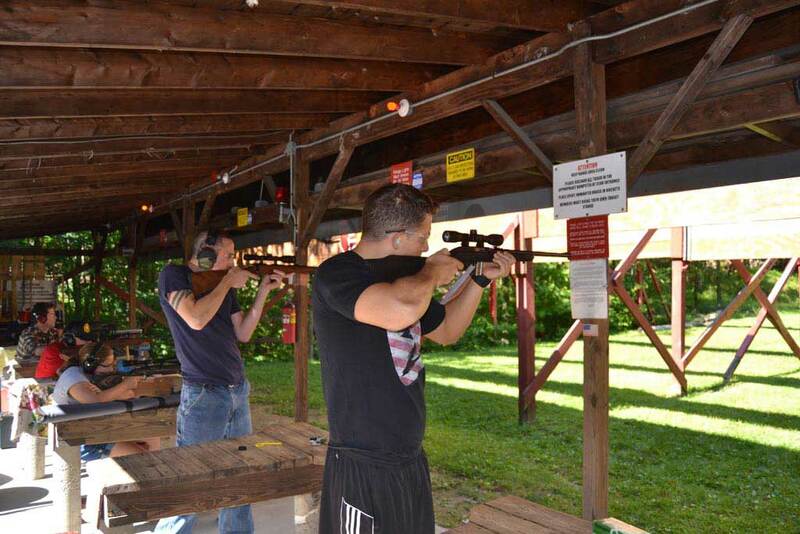 Hours of operation for the rifle range are 7 days a week, from 10:00 AM until sunset. The range will be closed to people not competing in these matches until 2PM on these dates. All members and guests must sign in upon their arrival and sign out when they leave. The first person to arrive at the range is the safety officer for as long as he is there, or until he relinquishes the task to another member. He is responsible for his own safe conduct as well as the conduct for any shooters who arrive subsequently. 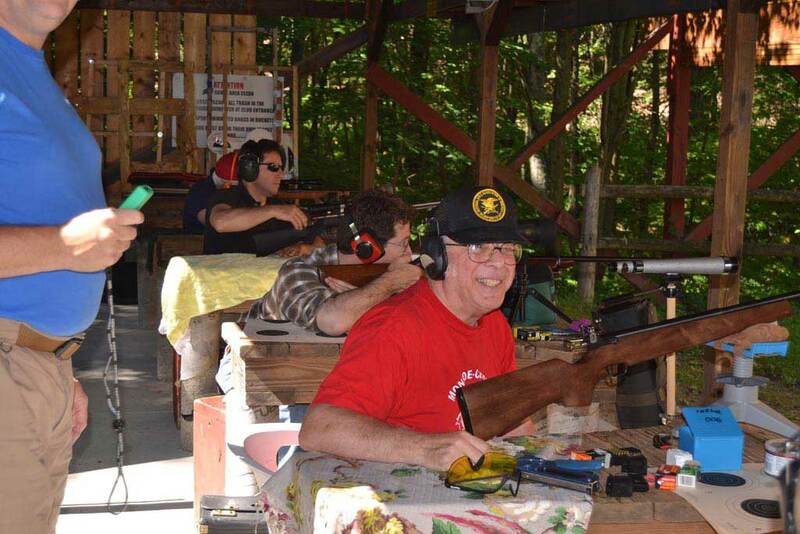 Appropriate eye and ear protection is required at all times the range is active for shooters, observers and guests. There are no exceptions to this rule. The range lights (upper switch) must be on whenever the range is active. The down range lights (lower switch, flashing lights) must be activated whenever somebody needs to go downrange. Nobody goes down range unless these lights are active. During this time there is no handing of or contact with uncased firearms for any reason. Ammunition and loose magazines may be handled. If somebody needs to go to the 200 yard line, the stop signs should be lowered as well. Uncased firearms must have their muzzles pointed downrange at all times. All firearms must be brought to the bench cased. Uncasing of firearms must be performed at the bench, with the muzzle pointed downrange. During matches a safe table for uncasing and servicing firearms and a rifle rack for temporary storage will be provided. During matches a Range Officer (RO) will be present and will have complete control of the range. All shooters, guests and observers must follow his commands. The use of armor-piercing, incendiary or tracer ammunition is forbidden on any club range. The use of M855 (green-tip) ammunition is not allowed on club-owned steel targets (it pits the targets and shortens their useful life). Only paper targets and approved steel targets may be used. Bottles, cans, etc., are strictly prohibited. 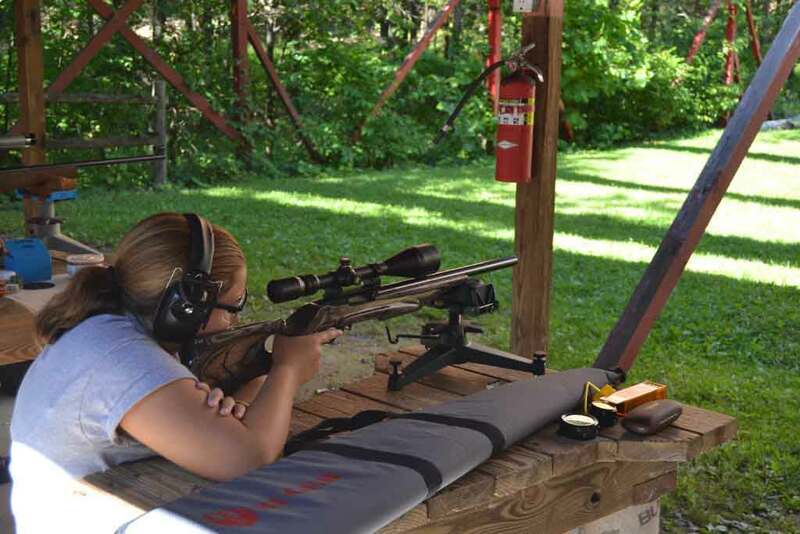 Personally-owned steel rifle targets are not permitted on the rifle range unless approved by the Rifle Committee (Rifle Chairman and Safety Chairman) for safety reasons. Steel target use is not permitted at distances of less than 100 yards. 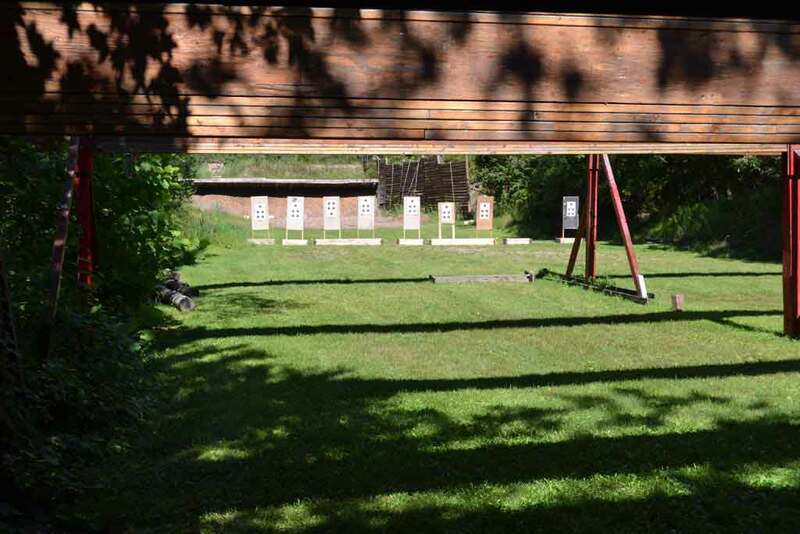 Club-owned steel plate targets are maintained at 100 and 200 yards for general use. Please do not use magnum ammunition when shooting these targets. Allowed ammunition is .30-06 or less (.223, .308, .30-30 etc.). Use of Armor-Piercing (black-tip) or Steel Penetrator (green-tip) ammunition is strictly forbidden on the steel targets. If you damage a steel target you are responsible for it. And please, if you are not on paper at 100 yards, please do not try to engage the 200-yard steel. We are providing a limited number of target frames for the use of members and their guests, but we do request that if you damage one that you repair it. Storage of club target frames is provided in the covered area next to the rifle trailer. Please do not store personal target frames at the range. Please move the target bases to the side of the range when you are finished using them. Please return the short target bases to the side of the range just ahead of the firing line when you are finished with them. Please take note of the location of any target bases that are downrange when setting up your target and move it if your rounds will shoot through your target and strike it. Remember the 4th rule of gun safety: “Know are target and what lies beyond”. We ask that shooters police their brass and deposit it in the the marked brass buckets provided on the range. Please pick up any trash and deposit it in the trash can, not the brass buckets. Please do not deposit steel cases, aluminum cases, shotgun hulls or trash in the brass buckets, these belong in the trash. Please contact the rifle chairman, James Mullins, at (212) 444-2202, email: rifle@monroechestersportmen.org if any range equipment is damaged or found damaged.